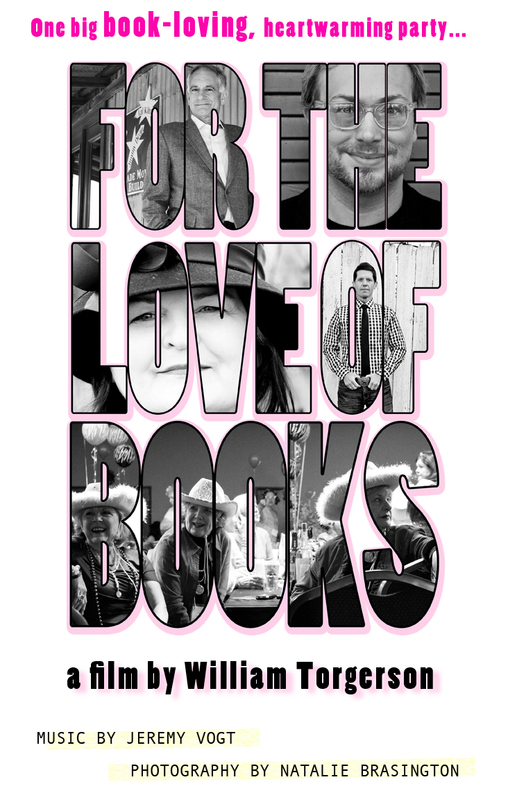 I’m excited to share with you the movie poster created by photographer Natalie Brasington for the premiere of our film, For the Love of Books. It will screen as part of the inaugural Phenom Film Festival in Shreveport, Louisiana at the Bossier Civic Center on Saturday, September 8th at 6:00 PM. I’ve heard rumors that Kathy Patrick is planning a party. I’ll be there! Can you help me out and let me know which Pulpwood Queen chapter is pictured? If you’ll enter your email into the box below, I’ll write you a note and say hello. Thanks for checking out the site! Movie trailer can be viewed here. This entry was posted in Torg Life and tagged books, documentary, film, film festival, fridayreads, funny movie, hilarious, Horseshoe, Jeremy Vogt Band, John Berendt, Kathy Patrick, Love on the Big Screen, movie, Natalie Brasington, Phenom Film Festival, Robert Leleux, St. John's University, William Torgerson. Bookmark the permalink. ← Podcast: How Did I Learn to Write (a film script)? I read a lot! Right now I`m reading a book by Antonia Fraser about her life with her sencod husband, Harold Pinter. I also am reading a supernatural thriller called The Dead Path, a historical novel called The House at Riverton, and a mystery by P.D. James called Death in Holy Orders.I just finished a book for a book club called Loving Frank. It`s fiction about the woman who fell in love with Frank Lloyd Wright, though they were both married to others at the time. It has a really tragic ending (it`s based on true events).